As with many other cancers, early detection is key to increasing the odds of overcoming the oral cancer. In fact, diagnosing and treating oral cancer in the early stages raises the survival rate to 80 percent or better. When it is found later on, only about 60 percent of patients survive five years after treatment. To catch oral cancer early, this screening should be performed regularly. 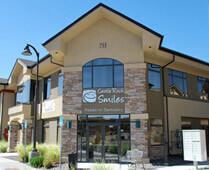 That’s why your dentist for kids in Castle Rock includes one in your child’s dental checkup every six months. By keeping this appointment, you help ensure that your child can remain healthy and stay ahead of potential illness. Red, white, or speckled patches. Unusual sores that don’t heal within two or three weeks. Unexplained numbness in the face, mouth, or neck. An oral cancer screening is painless and usually very quick. Your pediatric dentist in Castle Rock visually examines your child’s lips, tongue, and mouth, checking for the symptoms of oral cancer. Then, they feel for lumps or swelling and gently pull the tongue to the side for a more thorough look at it. If they find any abnormalities, they may use a special light or dye to get a more detailed view or refer you to a doctor to get a biopsy. In the end, these oral screenings could yield no alarming results. Then again, wouldn’t you rather err on the side of caution when it comes to your child’s health? 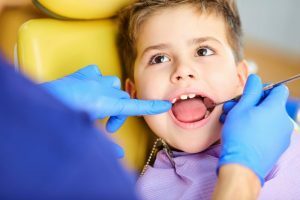 You would do anything to protect your child, and that includes making sure that they get regular dental checkups and oral screenings. That way, you both can continue to enjoy their adorable smile for years to come. 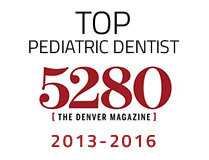 Dr. Layne Benzley is certified as a Diplomate of the American Board of Pediatric Dentistry. As a father of four young children, he knows how to help kids feel comfortable in the dentist chair. At Castle Rock Smiles, he and his staff are dedicated to delivering safe, effective care for children in a compassionate way. To schedule an appointment with him, call (303) 660-5373 or click here.